Godavari Foundation's Dr.Ulhas Patil Medical College & Hospital is a name with unmatched legacy & reputation in the Medi-educational era in the Maharashtra. DUPMC is located on the National Highway No.6 in Jalgaon Khurd, Jalgaon. It is around 15 Km from Jalgaon City. Jalgaon City is situated on the bank of Tapi & Girana River in the beautiful valley of Satpuda range Ajanta hills in Jalgaon District. Jalgaon city is located 21�'N 75�'E / 21.01癗 75.56癊 on earth. it is on the height of 209 meter away from sea level. Population of City is 5.5 Lakh. 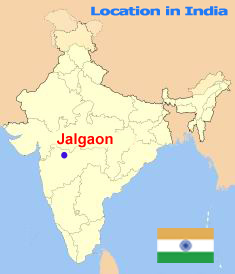 Jalgaon is District place of Maharashtra in Khandesh region. Jalgaon city has a large infrastructure with residential, educational & Industrial Sections. 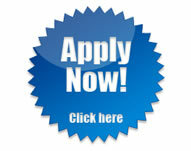 Godavari Foundation is one of the premier educational institutions in the North region of Maharashtra. Jalgaon is on the main line track of central railway. It is just 22 km away from Bhusawal Junction & 170 km away from Manmad Junction of Central Railway. It is Just 3.00 hours from Nasik Road station & 6.00 hours from Mumbai. With any train of Central Railway either express or passenger you can reach safely at Jalgaon on it's scheduled time. Jalgaon is banked on National Highway No.6 Surat-Kolkata & State Highway Nagpur-Mumbai. It is on the main road network of state as well as National Highways. It is 140 km away from Aurangabad & 90 km from Dhule & 250 km from Nasik. With the help of Maharashtra Rajya Parivahan Mandal you can choose appropriate bus to reach at Jalgaon. From Jalgaon Mumbai is main international airport about 350 kms & nearest airport is Aurangabad, about 150 kms. Nagpur & Pune are also centre airport for Maharashtra. Through Domestic airways flights of Govt. & Private airways you can reach any of the airports, whichever is convenient? After reaching to airports, you can get to be at your destination by road or rail.